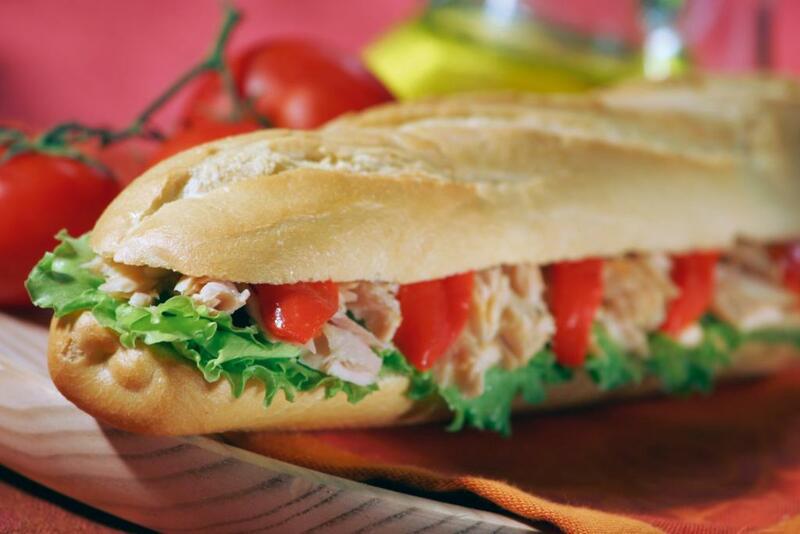 When you want a sandwich, how do you make it? What are your main ingredients? Bread and filling, surely? Link Building is the bread and good content is the filling in this SEO-Strategy sandwich metaphor. “What about the butter?” I hear you cry! There’s room for butter too, of course, and our butter here is Digital PR. You can’t replace the bread in a sandwich for butter in the same way you cant replace Link Building in your SEO Strategy for Digital PR, but you can certainly complement it. Many well-trusted and well-known sources of SEO and marketing information would have you believe that Digital PR is the new Link Building, but I disagree with them. Whilst the way we approach SEO has certainly changed, drastically, over the past few years thanks to Google’s Algorithm updates, the core approach to how we do our job has not. We need links for our clients to help them grow. 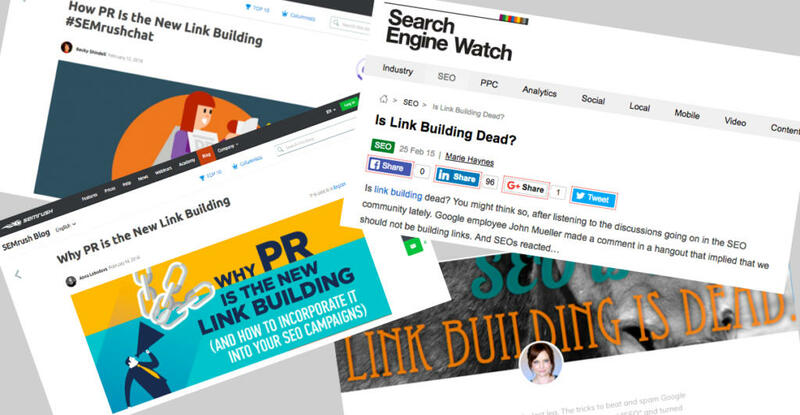 Truth be told, Digital PR campaigns pretty much have the same end goal as Link Building. They are usually judged on their output in number of links achieved, however the process is very different. The sites targeted are usually top-tier national media sites: newspapers, magazine, industry leaders etc. They usually have much higher metrics than the sorts of sites that are targeted in Link Building campaigns, and, as a result, have far greater potential SEO rewards. Links from these sites naturally receive a far greater digital footfall and links from these sites will nearly always lead to an increased volume of traffic to your site and have a big push on the brand’s awareness and reputation. Sounds great, yeah? Well it is, except…. Talking to a Digital PR is like talking to a gambler. You only ever hear about their wins. A Digital PR campaign is not guaranteed to get you one single link. You can easily spend a few thousand of your, or your client’s, budget and end up with nothing to show for it. Can your SEO strategy really work without links? Not according to Gary Illyes. In November 2016 he famously said “Ranking without links is really, really hard”. Gary is the Chief of Sunshine and Happiness at Google….every company has one of those, right? But, in all seriousness, if links are the currency of SEO, how are you going to ‘buy’ your organic traffic with no dinero? Digital PR can also be slow burner. With all the fantastic success stories, none of it came overnight. Talk to any honest Digital PR and they will likely tell you that their most successful campaigns have taken weeks or months to turnaround the results. When you pitch to the journalists at the major news publications, it’s very unlikely all of them will pick it up at once. If they do, then go home and take a week off – you’ve deserved it. It’s more likely that one may pick it up and run a small article on it. From here, maybe another will run their own story having seen the first one. Then you start to get the snowball effect of other sites and publications picking up the story from their competitors, but it takes time for people to notice the news trends and act on them as trends don’t spring up overnight. Link Building is the tortoise to the Digital PR hare. Slow and steady wins the race. Link Building, in the traditional sense, has more of a focus on targeted outreach directed towards specifically chosen websites. There is no shooting in the dark and hoping to hit something. The sort of sites where link builders will look to acquire links include: blogs, industry specific or product specific sites and local news sites, targeted for their more direct line with the target consumers. Say your client is a bathroom company, looking for you to secure links to a specific category page, an interior design blog would be a suitable target for outreach. A link to your site offers the readership relevant information to support the blogger’s article which can then in turn help improve the rankings for that specific landing page. Link Building’s single goal is getting other external sites to link to you/your clients but in a controlled and targeted way. It is not so concerned with reputation. A link is a link (obviously there are good links and bad links, but without getting too granular on what makes a good link and for the benefit of this piece, let’s keep it super simple). There’s no scattergun approach. It is calm and collected. Slow and steady wins the race. Why Link Building first and foremost? Now for those that say Link Building is dead and that Digital PR is the way forward for SEO strategy – that is some really terrible advice. Sure there are plenty of case studies out there about how companies/brands got loads of high-authority links and coverage but you never hear about the campaigns that did not go to plan or exceed expectations. It doesn’t always work. Plenty of Digital PR campaigns have driven loads of links but Digital PR alone is not the best method to increase the search visibility of a site. If organic traffic is the most important factor for your site, then you need links and, in turn, you need to pursue a link-intensive SEO strategy. As established previously, the end goal of PR is about brand reputation and appearance rather than purely links. That’s why they target the much large publications that will likely get read and viewed in higher volumes, but you also likely sacrifice the followed link as a result. Links are not guaranteed but they are the added bonus of Digital PR, therefore it is not link intensive. Link Building is a process that is link intensive by its very nature. It is repeatable, it is sustainable and it is proven to help the search visibility and organic traffic rates of the target site. PR cannot guarantee these same claims in the same way. Additionally, Digital PR is an expensive route to go for no guaranteed result. Link Building works on the budgets you set and you will get results matching those budgets. Digital PR can be an expensive shot in the dark with high reward, but a high risk too. When you’re on a tight budget, can you really afford that kind of risk? I attended a couple of other talks this year in which the speaker (Lexie Mills – has some really great things to say on PR and how to build relationships with your clients so catch her at a talk if you can!) spoke about boiling frogs. There was an old folklore than if you put a frog in boiling water, it would jump out. If you put it in cold water and slowly crank up the heat, it would adjust to the rising temperature and boil. That was a great analogy for building relationships with your clients. Think about this for a moment – if you have a new client and you go straight for Digital PR and get no links in your first campaign, you may well find yourself binned off before you’ve really had a chance to prove yourself. If you go in with a Link Building campaign and get results, you can then slowly introduce Digital PR alongside Link Building to mitigate the risk of zero PR links. Also by the point of starting the PR campaign you’ll have (hopefully) built up a relationship with your client and have earned their trust. Boil your clients slowly! When Google released their Penguin update, Link Building became a dirty word amongst SEOs, but we can’t rebrand it as something different and expect the same results as that will not help our clients grow their traffic, their website, and ultimately their business in the most effective way. That said, Link Building can very, very rarely deliver the same top-end results as Digital PR when Digital PR really succeeds. This is why if you really want to deliver results for your clients you need to go with the dual attack of Link Building and Digital PR, but if you’re limited by time and budget then Link Building is the route you should go down first of all. The value Link Building brings to the table cannot be ignored. Digital PR should be used to support your Link Building efforts, not replace them. Link Building will get you results in the short term, buying you more time to cultivate your PR campaigns to really bring home the bacon. Here at Marketing Signals, Link Building and Digital PR really are our bread and butter. Want to find out more? Get in touch!.